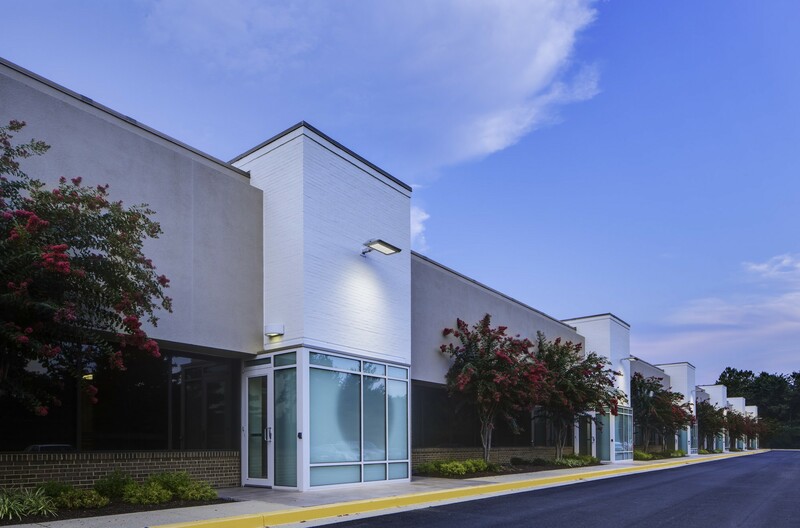 The University of Maryland, University College recently acquired a 62,000 SF flex office building located at 1601 McCormick Drive in Largo, MD. 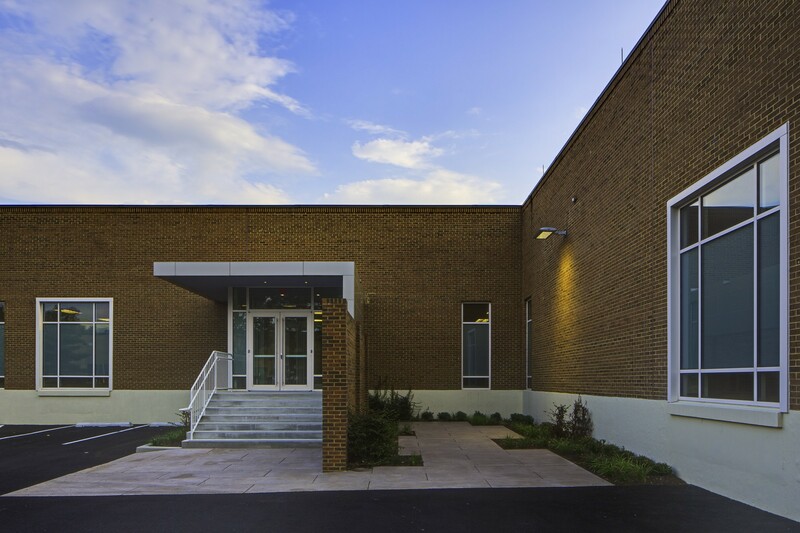 The building underwent a $5,800,000 renovation to house enrollment management, including their contracted operator. 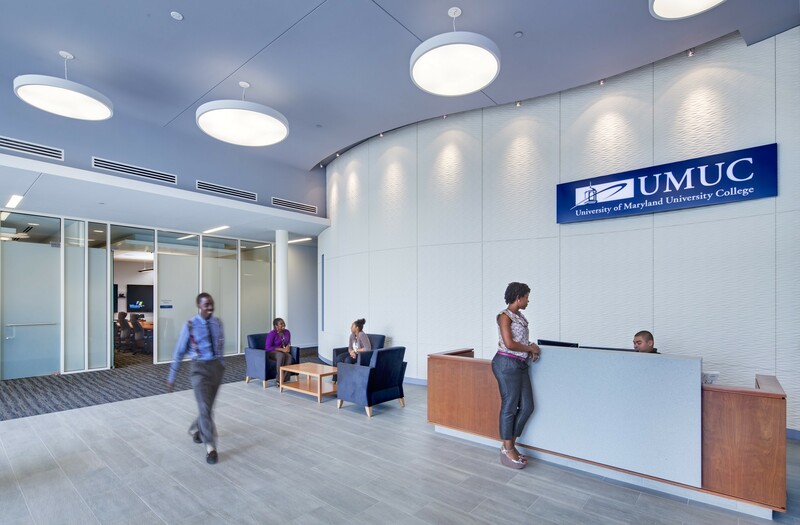 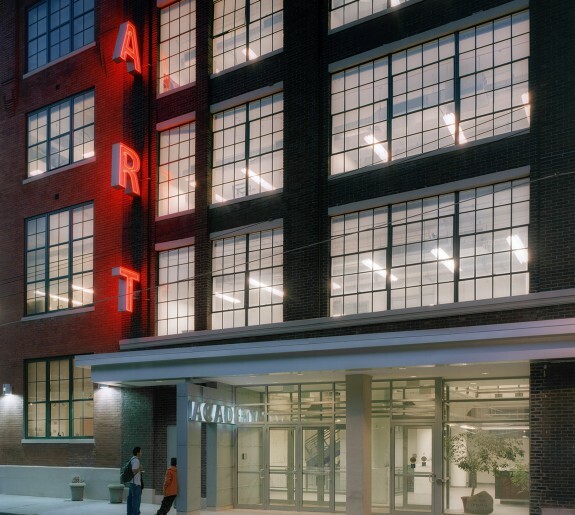 The renovation transformed the interior and exterior of the building to better connect it to the UMUC Largo Center located across the street, rebranded the image of the building and made it more energy efficient. 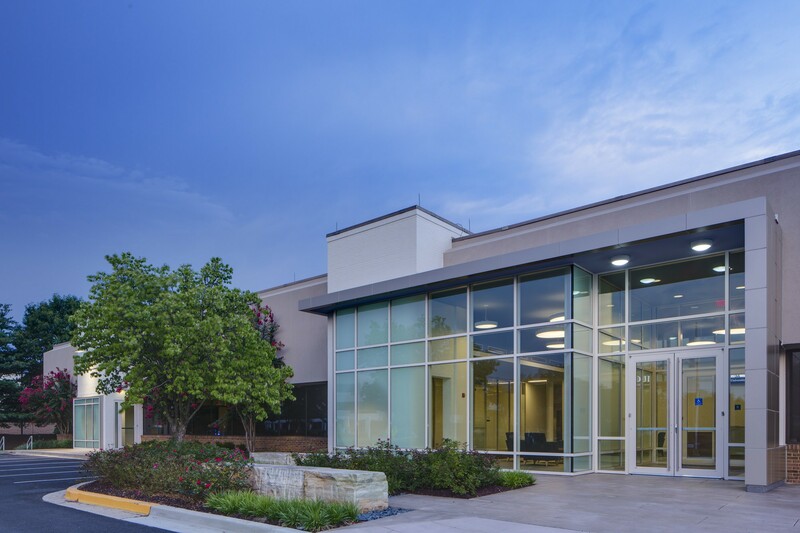 The exterior includes a new entrance feature that provides a meaningful front door to the facility, new site amenities, new roofing and the modification of existing entries to provide ADA access, vestibules and transformed the image of the building. 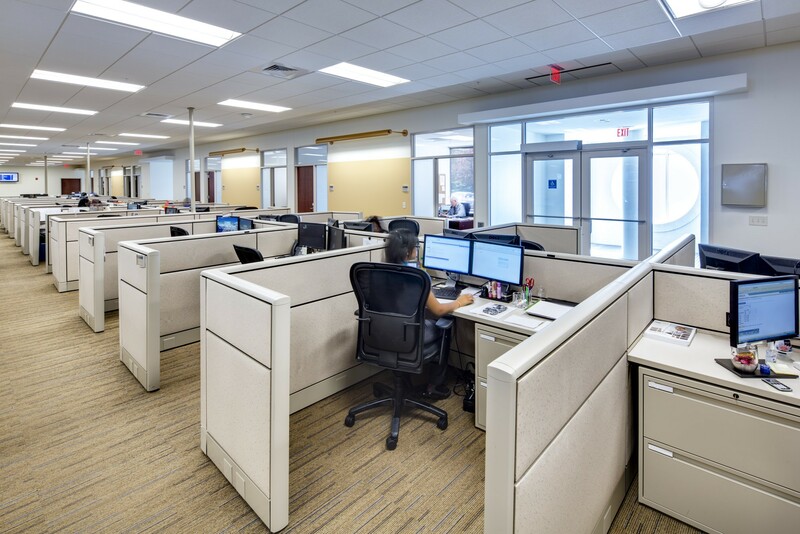 The program included office space, conference rooms, a new lobby and a call center with planned growth for anticipated expansion. 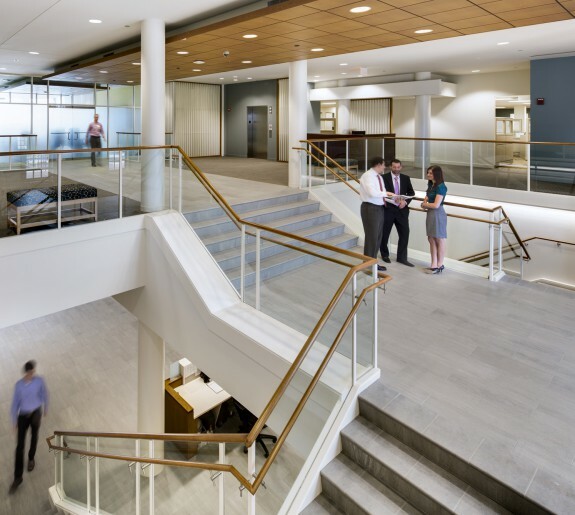 The design of the space provides an open working environment with borrowed light through perimeter offices. 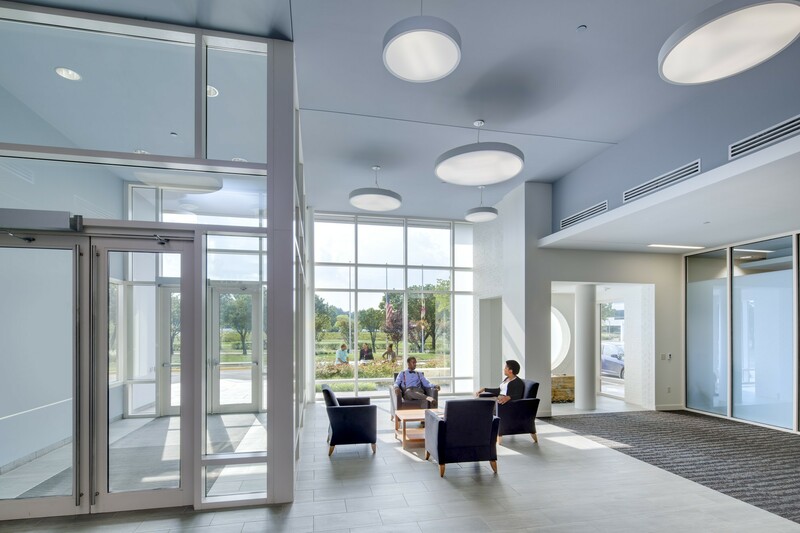 The project is LEED CI Gold certified through the incorporation of new mechanical systems, new lighting, use of local materials, recycled materials and low VOC materials.